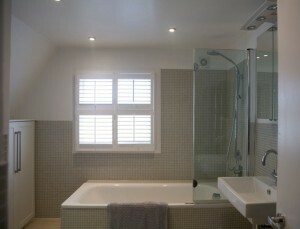 Cheap Shutters have the perfect solution for your bathroom windows. 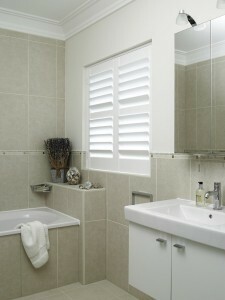 We supply waterproof plastic bathroom shutters, which is almost indiscernible from our interior wooden shutter ranges. This means you can continue the design flow of your window coverings throughout the house, including into the bathroom. Stylish, modern and chic, your bathroom will look sharper than ever with interior shutters fitted! The best window treatment for bathrooms? Quite possibly. Bathroom window coverings create extra privacy whilst still allowing light to flood in. 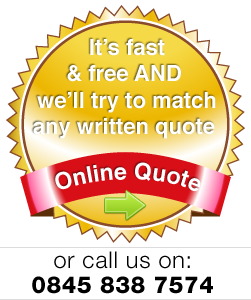 You could opt for tier on tier shutters or full height cheap shutters. This allows you to open your upper window shutters whilst keeping the lower ones closed. Bathrooms come in all shapes and sizes. Whichever size windows you have, bathroom window ideas small bathrooms can be plentiful. You can dress and decorate them with modern slatted shutters, which look stylish and create a calm beautiful room. Normally after receiving a rough quotation you arrange for a consultant to visit your home and he can demonstrate how your bathroom design can be complimented by adding bathroom shutters. Whether large or small we believe you will love our plastic easy to manage solution for your bathroom windows. If you are looking for a modern solution for your bathroom windows, look no further! We think it should be added to the perfect bathroom article on the Independent!